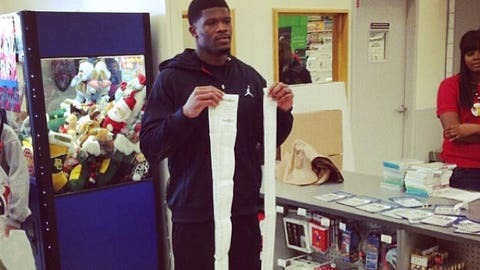 Andre Johnson continues to do the right thing in Houston. The Texans’ wide receiver held his seventh annual toy giveaway Tuesday morning, giving 12 children and their brothers and sisters 80 seconds to grab whatever they could at a local Toys R Us. "It’s fun," Johnson said. "It’s fun for the kids and it’s fun for me. It’s something I enjoy seeing every year, so I figure why not keep doing it?"